It's not a bad cover but I keep getting chubby/pat Lee type vibes from some of the characters on the poster. Mostly Skywarp and Ravage's face. Really excited for this series though. 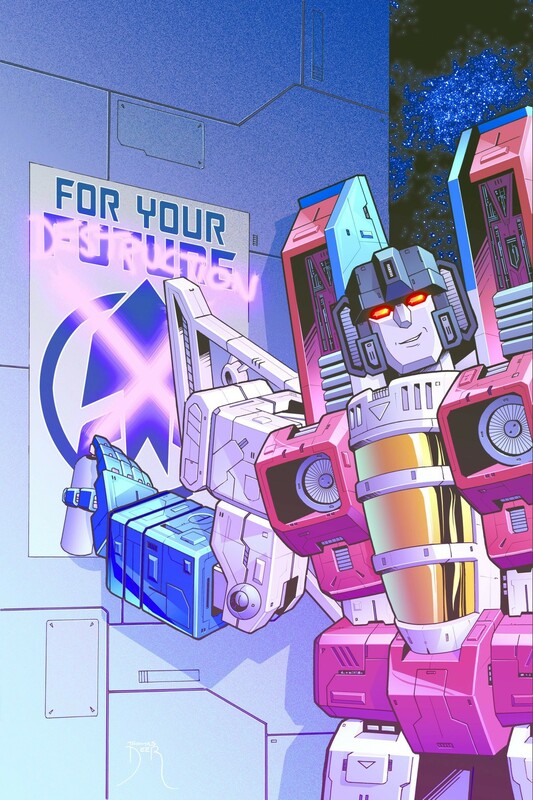 Motto: "Drown them in sound till you here no whispers"
Returning once more with a stellar offering, comics illustrator and designer Jeffrey Veregge has given us a look at his newest cover for the upcoming IDW Transformers reboot! 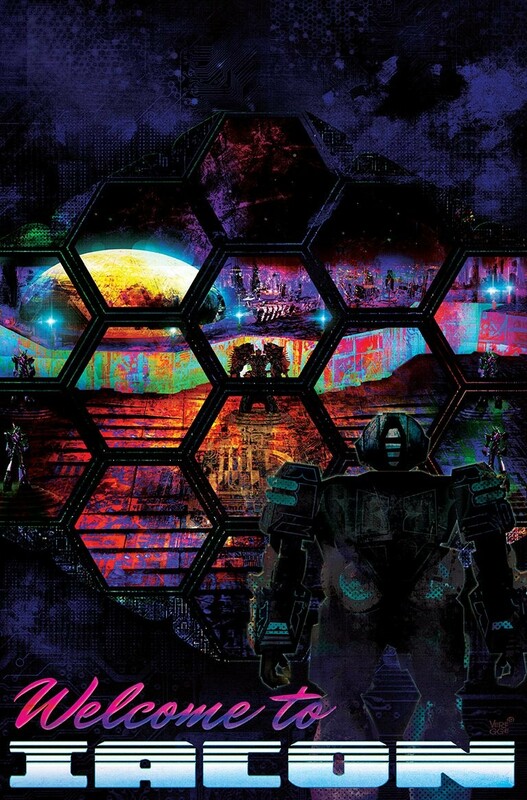 Continuing his trend of ‘travel style’ covers, the cover’s vivid colors and strong lines depict the Cybertronian capital Iacon, as well as an unknown character looking onward at the landscape. The character does not appear to be anyone we yet know of, so their identity is up for debate. Interestingly, five statues stand out amongst the serene landscape of Iacon. It is unknown if these are of any significance, but the center figure does bear a resemblance to traditional personifications of Primus. If this turns out to be true, what does that make the other statues? 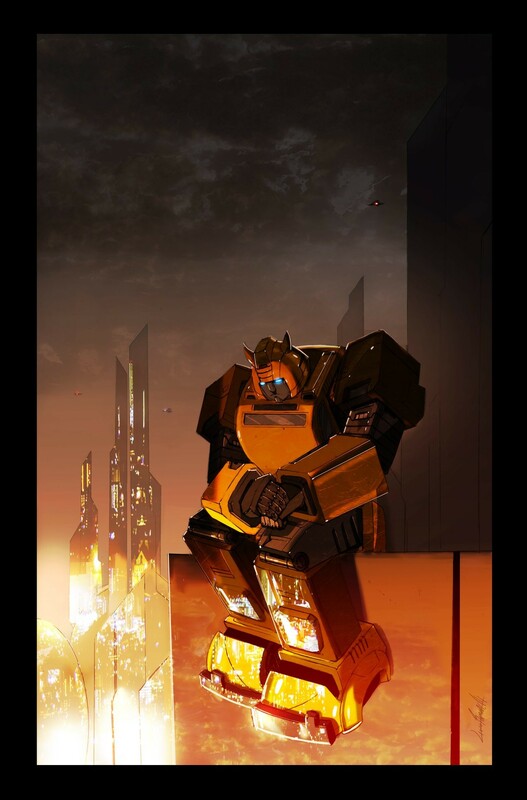 Be sure to share your thoughts in the forums below, and stay tuned to Seibertron.com for more Transformers news and reviews. 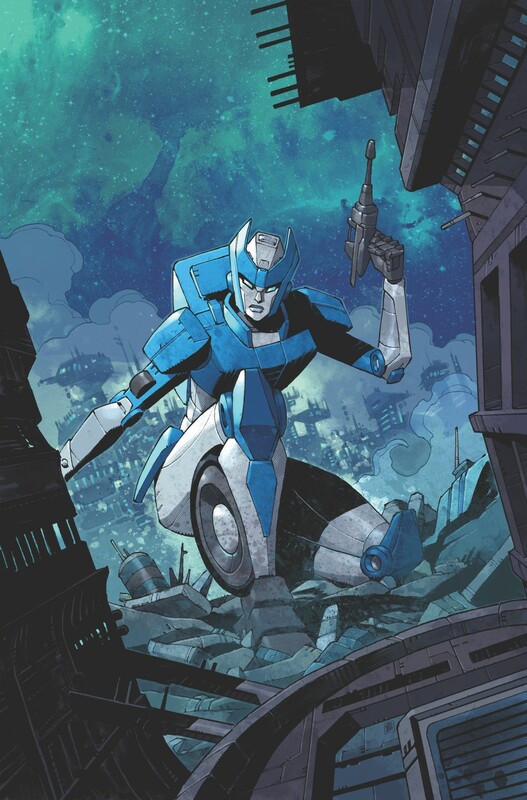 Too much to hope for we've ditched the Thirteen Primes thing (as IDW initially did before the back-peddle, post-AHM) and have opted for something *gasp* New? 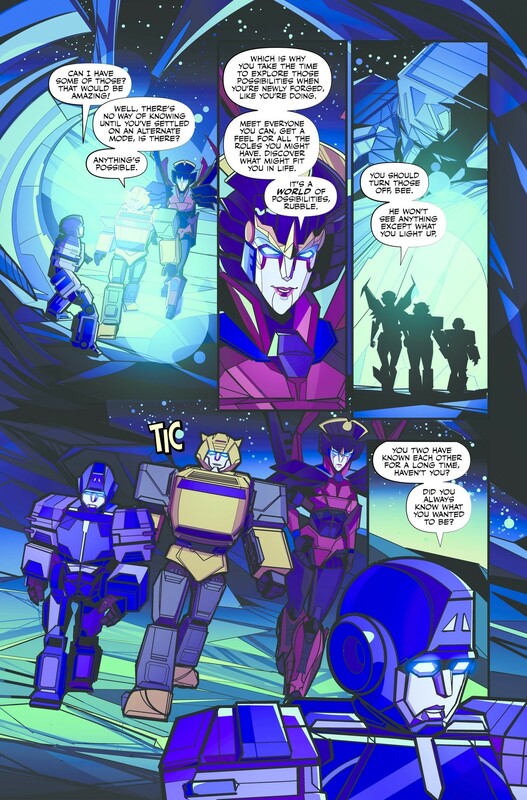 AllNewSuperRobot wrote: Too much to hope for we've ditched the Thirteen Primes thing (as IDW initially did before the back-peddle, post-AHM) and have opted for something *gasp* New? 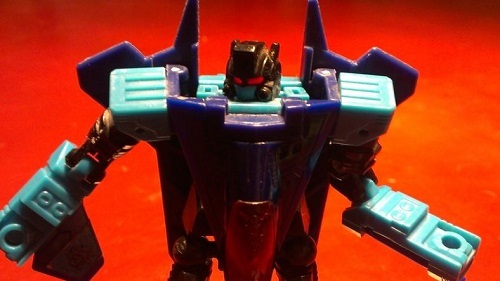 If Cyberverse and Hasbro's recent "brand consistency" are anything to go by, the Binder of Revelation (in which the Thirteen were first nailed down for certain) may yet still be in use by new fictions. The guy in the middle is Rubble the new character for the series. There are pictures of the character floating around out there. IGN.com scored a nice exclusive review with John Barber and Michael Kelly, Hasbro's VP of Global Publishing which is all about the TDW Transformers reboot. 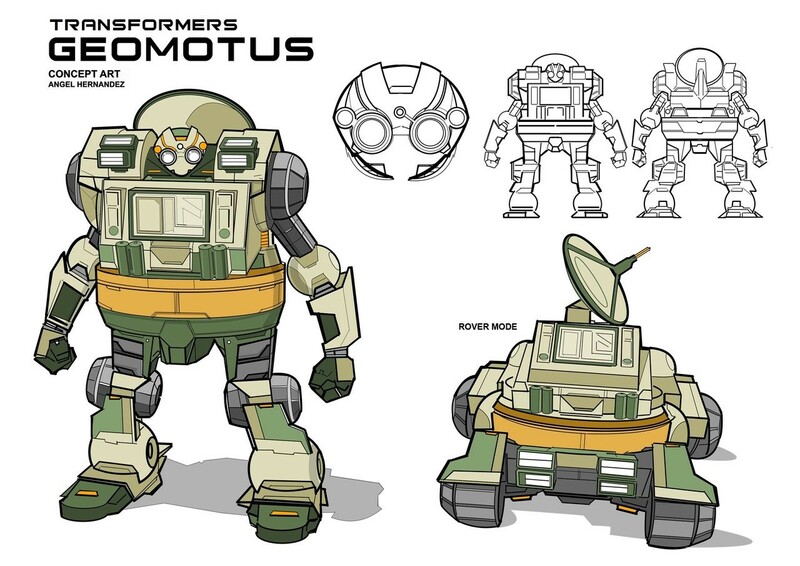 For those not in the know, this is a brand new series simply titled Transformers. 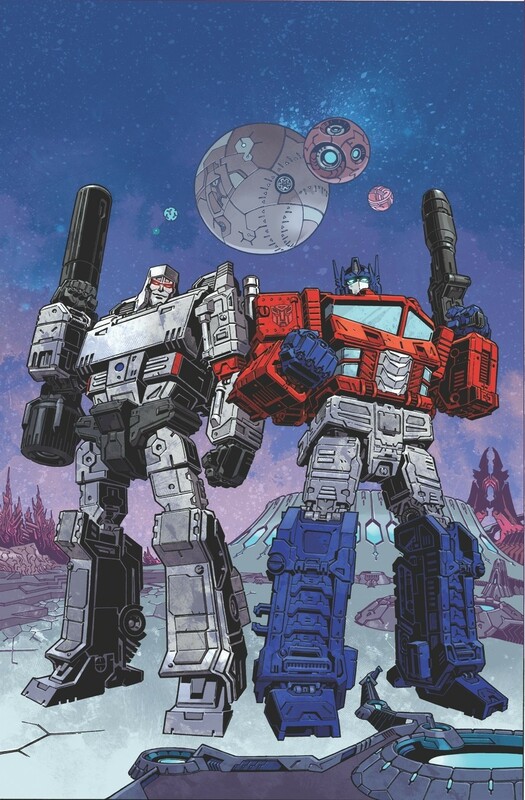 The comic will be very G1 based, as you can see by the designs which are the same as the ones you find in the Siege toyline. There is also a preview of the first comic where we see the first 3 pages, along with covers. The following is a segment of the interview where Barber and Kelly discuss why a reboot was done. You can read the full interview here. 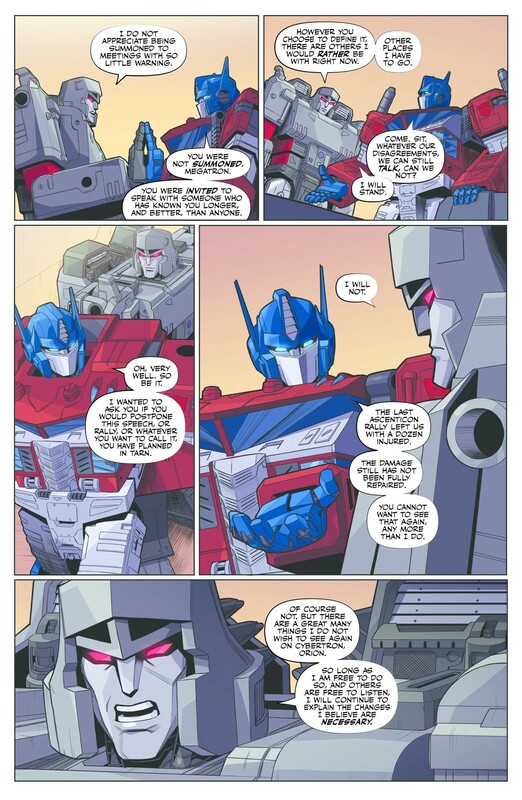 As you'd expect, this is part of an attempt to broaden the appeal of the franchise and make the Transformers comics more accessible for new readers who might be intimidated by the sheer number of books available. Kelly told us, "When you are working with a continuity that spans 13 years, it can be pretty daunting to jump on board. 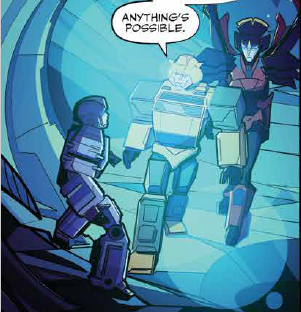 The creative teams we’ve worked with in the former continuity excelled at appealing to new readers, and I think it is safe to say that over the past 5 years we’ve had the broadest and most diverse audience in the history of our Transformers comics program. But this new series provides an opportunity for new readers to join us who may have been on the sidelines wanting to get in but overwhelmed by the sheer volume of storytelling, while at the same time renewing our commitment to our long-time fans and giving them both a satisfying ending and an exciting new beginning." "We already had the best fans in the world, so we had that going for us." said Barber. "That said—absolutely, we all want to reach out and introduce new readers to these characters and worlds and mythology. The previous Hasbro comics universe was one that meant a whole lot to me. I love that series and those versions of the characters. But we hit a really natural point to put a genuine, and I hope satisfying, ending on that story. As for whether fans can expect the Hasbro Comic Book Universe continuity to continue in some form, it doesn't sound likely. Barber said, "I really love that story and that universe. I still talk to everybody that worked on those comics. I love reading them, and we’ll continue to keep the comics in print and in our deluxe IDW Collection hardcovers. But there’s no plans for ever going back to that universe. Much as I love it, personally I feel like we told the story we set out to tell." What would Transformers be without G1? Motto: "When the going gets tough, the tough call for close air support"
That's funny, given how G1 both of those were. I like the look of this and the focus on pre-war Cybertronian society, I might pick this up after all. Not really. They have their roots, yet the awards came when they broke away from them and did their own thing. Given the evergreen nature of SIEGE, being the backbone of this new continuity, I am apprehensive we won't see any of the character reinventions/subversions IDWverse had when it first started, this time around. 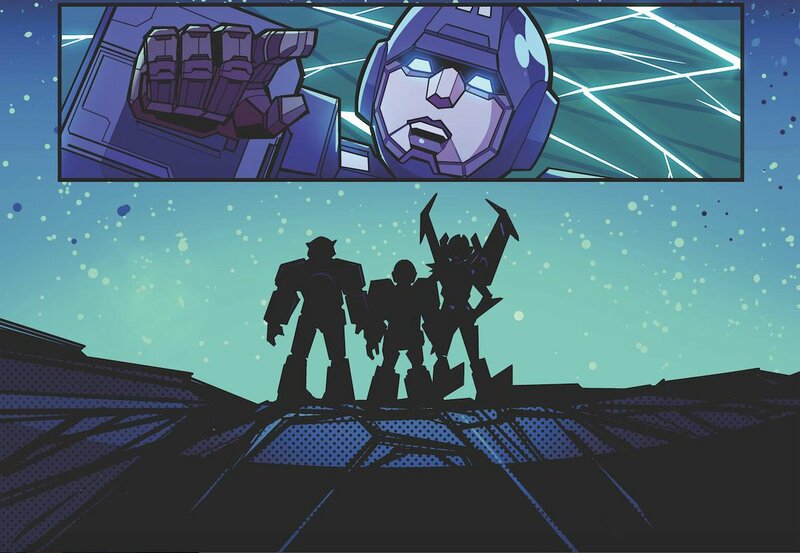 So they are keeping Megatrons political routes then as was added into IDW and reinforced in Cyberverse, can already see the Decepticon movement in its roots. Also Prime wasn't really G1, it was an attempt to do something akin to G1 for a new era, or was Arcee blue and a bike in G1? Was Unicron planet earth in G1? 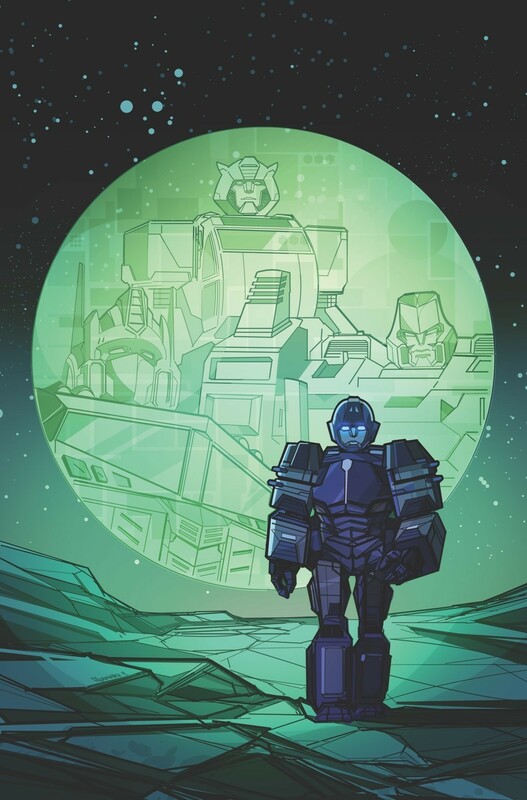 ZeroWolf wrote: So they are keeping Megatrons political routes then as was added into IDW and reinforced in Cyberverse, can already see the Decepticon movement in its roots. Exactly. IDWverse made Megatron the "good" guy initially, in Origin. That was something new and refreshing. This, I doubt I will be surprised about how his arc unfolds. 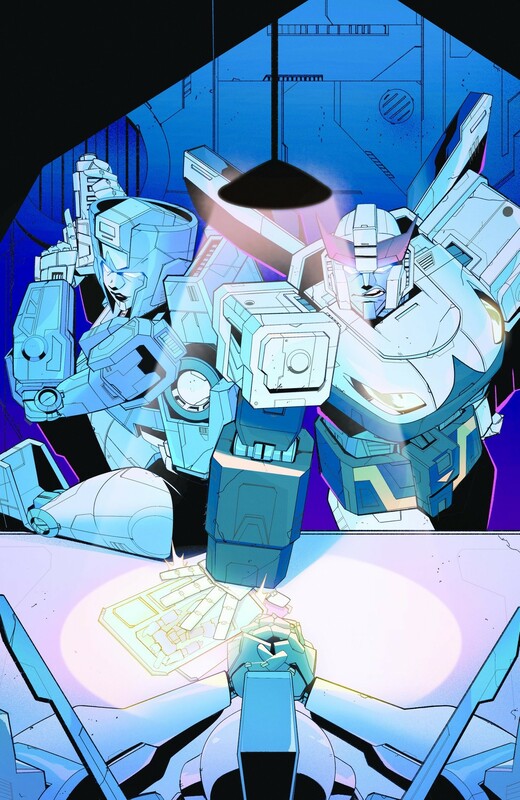 How...is Chromia sitting on the table with only half a thigh on it? Looks like Siege, reads like Cyberverse. Liking most of what's here, but not enough here to make real judgments on yet of course. 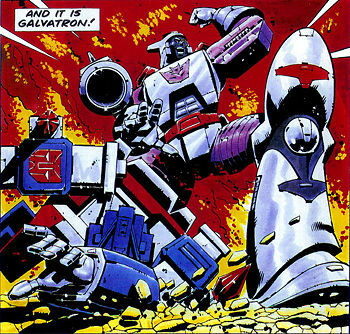 I like OP pointing out that Megatron has not been summoned. Nobody summons Megatron! Ruckley definitely seems to have the "ultra wooden Optimus that speaks in platitudes" that Hasbro seems to love nailed down. That's always been how I have seen Prime. Adding " and dull" in that description too. 3,982 pages were recently viewed by 647 unique visitors. This page was viewed 1 times on Friday, April 19th 2019 1:52am CDT. © 2019 Seibertron, Inc. DBA Seibertron.com. All Rights Reserved. Established June 2000. Seibertron.com is owned by Ryan Yzquierdo.